I'm going to start with acupuncture because, quite honestly, it's the most effective treatment option I've found for migraines. In the past month alone I've had five patients with chronic migraines who started getting relief after just one treatment. I'm also usually able to treat migraines concurrently with fertility, digestive upset, anxiety, insomnia, or other symptoms that may be present. So we can do a lot more than just stop your head from hurting. Acupuncture works so well because it's able to increase circulation, reduce inflammation, block pain, and it treats patterns that are common in Chinese medicine but which may be quite difficult to treat with common Western medical methods. Acupressure isn't quite as effective as acupuncture, but you can stimulate some points on your own, so if you learn which points work well you can use it as a home remedy. It may help reduce pain once a migraine has settled in, but it's not likely to get rid of your migraines entirely, like acupuncture can. 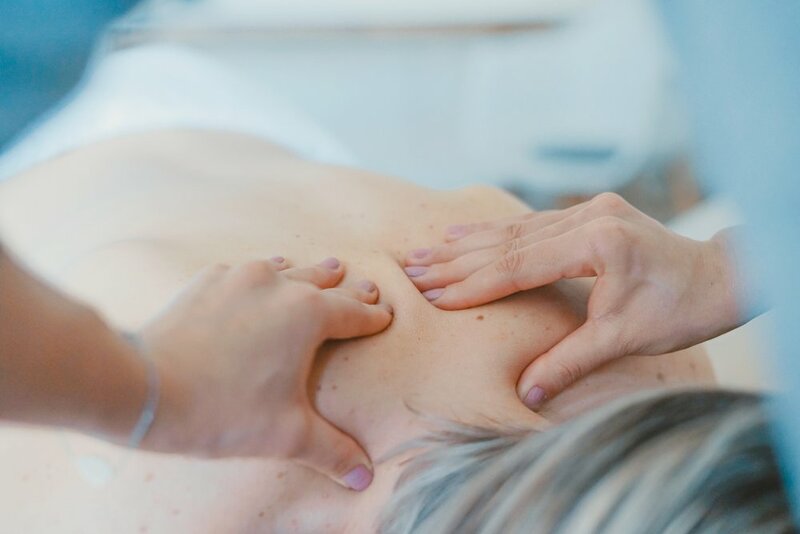 Any local hot spots on the head or neck can be massaged, but one of the most common headache points used for acupressure is called Hegu, or Large Intestine 4. It's located on both hands between the thumb and the first finger. You can rub the point on yourself, or gadgets like the Aculief Acupressure Band help to stimulate the point more passively. It's important to note, however, that this point should not be stimulated during pregnancy or if you could potentially be pregnant, so I don't usually use the point even for my patients who are trying to conceive. Especially if you are trying to conceive, I highly recommend trying acupuncture, because treatment can be customized specifically to you and if it works well it is a good option to use throughout pregnancy to prevent and/or treat your migraines when some people are more prone to them. I often use herbal medicine in conjunction with acupuncture. There's no specific herbs I can recommend for migraines because in Chinese medicine each point and each herb is chosen based on your unique presentation and is customized entirely to you. Once again, if you are trying to conceive or pregnant, there are also certain herbs that are not appropriate to use, so even more reason to work with an herbalist who can make modifications based on your specific requirements. If you'd like to work together to address your migraines, make an appointment or send me a message. Inflammation is a normally occurring process in the body, but in many individuals it can run rampant and cause a number of issues in the body. The most common symptom of inflammation is pain and many of the foods we eat can make inflammation worse, so focusing on an anti-inflammatory diet may make the difference in the frequency or intensity of your migraines. Want to learn more? Read: Anti-inflammatory Foods - what they are & why to eat them. For many women their migraines are related to their hormones and balancing them can make a huge difference for their migraines. Once again, I recommend acupuncture and herbal medicine for this, and then the migraines usually respond quite quickly. There are also several diet and lifestyle changes that can be made to encourage hormone balance, I discuss them in my free e-course: Happier Hormones in 30 days. 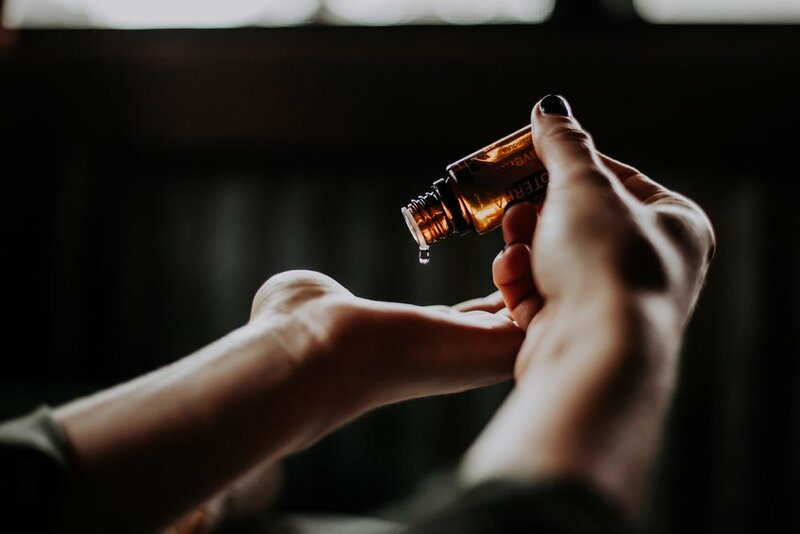 For some, essential oils can provide some minor migraine relief. Like acupressure, it's not likely to cure your migraines altogether, but they may be able to curb a serious one from setting in or give you some instant relief when it's the only thing you have on hand. The most common essential oils used for migraines are peppermint, lavender, eucalyptus, or chamomile. You can put a few drops in a diffuser or some blends are appropriate to use topically on certain points to release tension. Hoe Hin White Flower Liniment for is a blend of peppermint, lavender, and eucalyptus commonly used in Chinese medicine to relieve tight muscles and painful areas. A few drops on the base of the head/back of the neck or on the temples can help to calm a headache.